Welcome to Anne Roos’ official calendar of upcoming events! All of Anne’s public performances are listed here. Find local concerts, festivals, wine tastings, grand openings, and more. Scroll down to check out the calendar listings. Links to ticket information are included with each listing. Free events are also listed. And if you aren’t local to the performance, if you can listen on radio, tune in on television, or stream over the Internet—Anne includes that information, too. 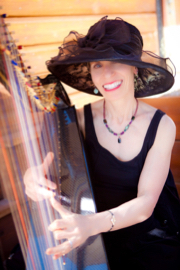 Harpist Anne Roos is known as a musical storyteller, weaving magical music with delightful stories and sprinkling it all with a dose of lighthearted humor. She is often joined on stage with her musician friends--Together they’ll create a one-of-a-kind performance experience for you. 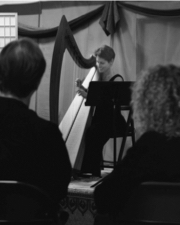 Every performance is different, because Anne selects her harp music playlist according to the audience. Help her choose the music for her performance—You get to make requests! Anne plays everything from rock, movie love songs, Broadway and Disney music to Celtic, Renaissance, Classical, and folk/world music. Check out her current playlists to get an idea of what to request. Let Anne know you’ll be attending her concert—Send her your request and she may just include it in the show program. Connect with Anne on Facebook, Twitter, and Google+ to read her latest posts about upcoming events. She loves to receive photos, too. Take a great pic, send it along to Anne, and if she posts it here on her website, she’ll send along a CD of your choice! 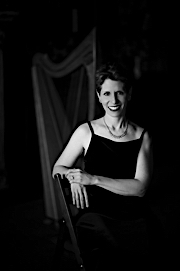 Bookmark this page and check back often for new additions to Anne’s public performance calendar. 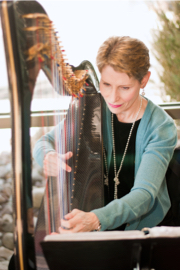 To invite Anne Roos to perform at your concert or event—Get in touch with her via email, send her a quick message, or give her a call at 530-541-2575 (U.S. Pacific Time Zone). To contact Anne’s booking representative, email Ed Miller or phone him at 530-525-5201. "I had a great time at your concert. You were friendly and talked openly with the audience. You told the stories to some of the songs, which is very important in keeping the heritage of the music alive...I could feel myself being drawn into the music like it was in my soul, and I could see in your face that you were not only playing the music, but you were FEELING it. All said and done, it was a magnificent performance and I plan to see you at my next available opportunity."